New and Used Records: Commentary: Jack White Gets It, Do You? Commentary: Jack White Gets It, Do You? It is really no big secret that I have a great deal of admiration for Jack White. In one of the very first blog posts I ever wrote, I said, "If music is the universe, then Jack White gets his own planet." Of course, when I look up to an artist in any medium (say Kanye West or Steven Soderbergh), it is usually not just for their talent but also their business savvy. Now, I can welcome White into this club. The big news of last week was that White went and started himself another supergroup - The Dead Weather. White plays drums in this new band and is surrounded by Alison Mosshart (The Kills) on vocals, Jack Lawrence (The Raconteurs) on bass, and Dean Fertita (Queens Of The Stone Age) on guitar. Equally exciting is where White is taking his own label, Third Man Records. Distributed through Warner Bros. and XL, Third Man has released albums from White projects the White Stripes and the Raconteurs, as well as the White-produced Whirlwind Heat. 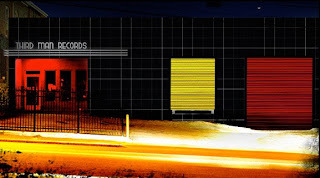 Now, the label has a physical location in Nashville which "houses the label's offices plus a vinyl record store, photo studio, dark room and performance stage." "The key is the United Pressing Plant is two blocks away," White adds. "We've set it up so we can put things out immediately." Artists launching their own labels or production companies is really nothing new. More times than not, they fizzle out after one or two projects. Given White's work ethic and dedication, I have faith that will not be the case here. What excites me most is seeing a label diversifying who they are while creating a one-stop shop for their artists. This is what labels need to do to fight off extinction. Now, the name Jack White carries a bit more weight these days than my own and I am not simply advocating that all labels follow suit exactly. But, here's what I take from it: with sales being what they are (low), a label's brand needs to be about more than just the music it releases; a record label needs to be a community. Furthermore, getting your music released has never been easier for the independent artist, but there are still areas where artists need help. A label should have a means of making those more accessible and more affordable. It takes a little work, but you don't have to be Jack White to accomplish this. Hear, hear! Community is key in accomplishing anything. I've always admired Jack White, given the breathe of his projects, one can see how this one has staying power.